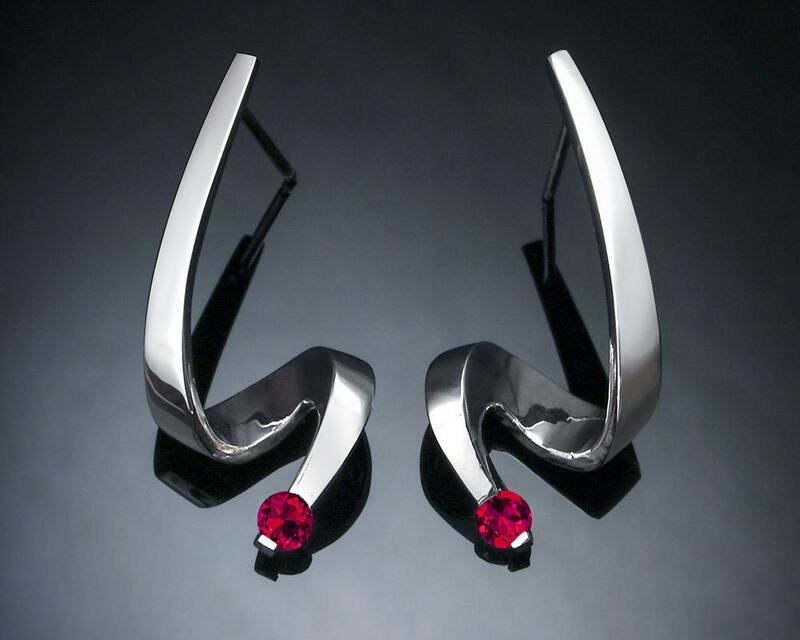 Ruby Earrings - Argentium Silver - 2380 Ready to ship! 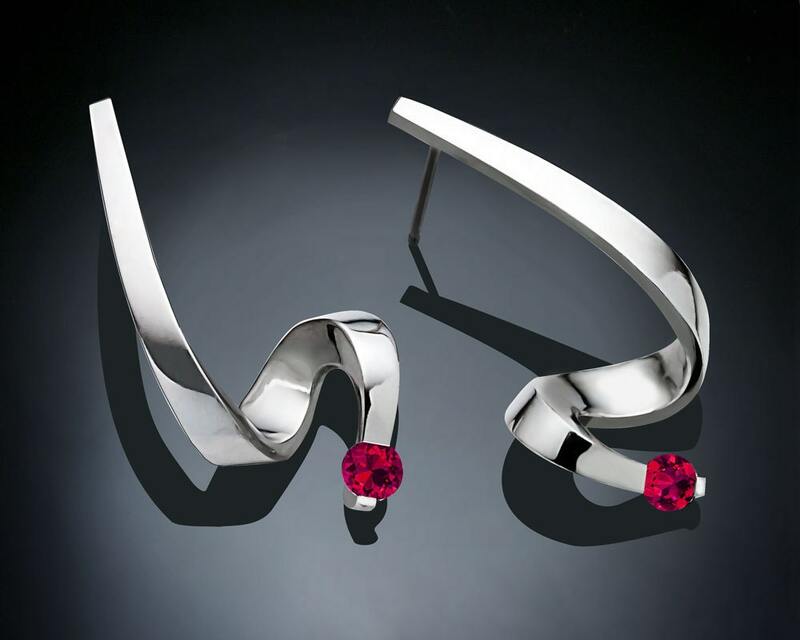 Cast in Argentium 960 premium quality, 100% recycled silver, these earrings measure 27mm x 13.5mm, or 1 1/16 x 1/2 inches, and hold 3.5mm Chatham Rubies at the tip. CHATHAM RUBY: Rubies have long been treasured for their brilliant red beauty. 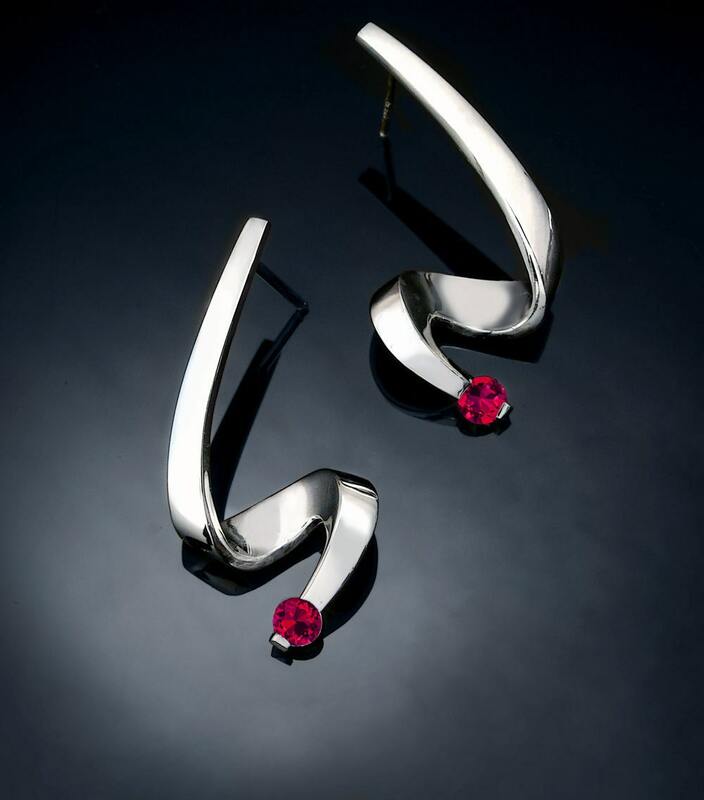 Chatham Created Rubies provide an economical and environmentally responsible alternative to mined gems. Lab grown under the same conditions which create a ruby in nature, Chatham rubies are identical physically, chemically, spectrally, and optically to the finest mined rubies. Ruby is the birthstone for July and used to celebrate the 15th, 40th and 80th wedding anniversary. Beautifully made earrings. I am especially grateful for the quick response when I asked about the hypoallergenic nature of the metal. My wife has a severe allergy to many metals and alloys--happily, the Argentium works perfectly for her. 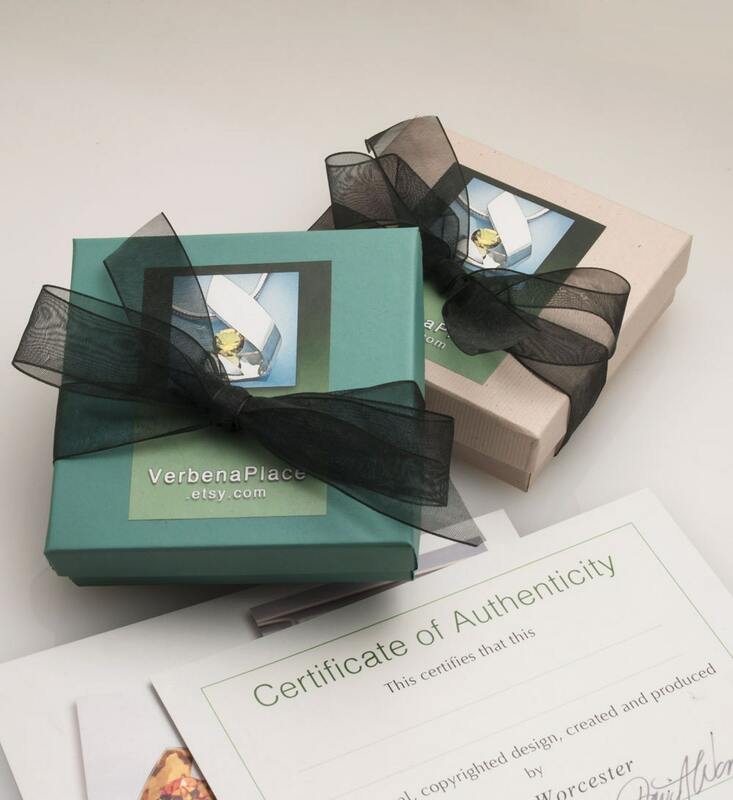 This is my second purchase from Verbana. These earrings were a gift for my mom's birthday and she was blown away by how beautiful they are. Thank you. Bought this to go with the necklace. I was looking for small earrings, as that's what my wife prefers. These are stunning. 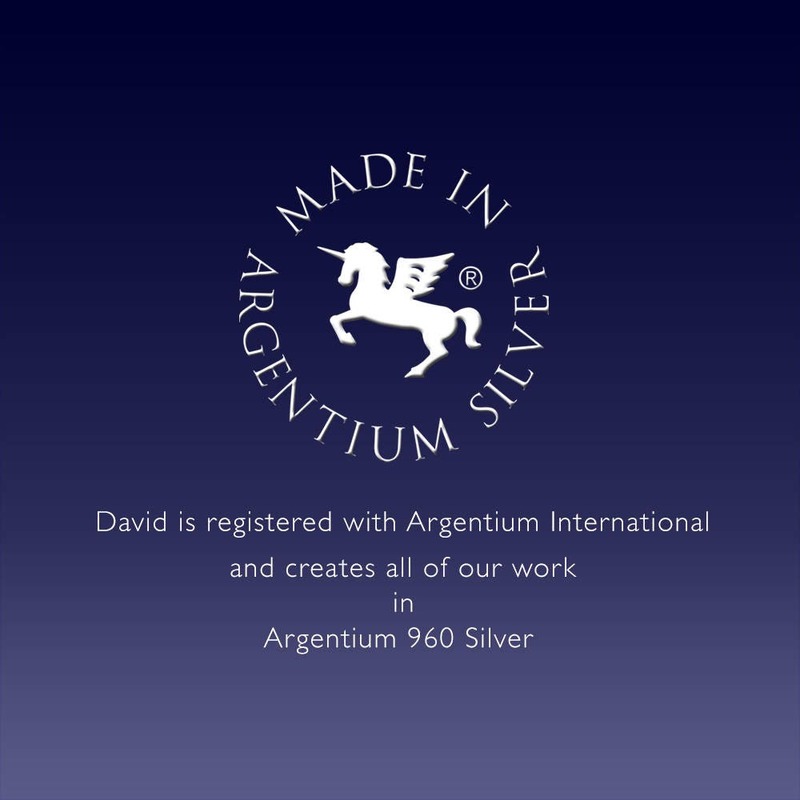 The argentium silver is remarkably bright and the design is both modern and timeless. These earrings were custom crafted as a special order for my wife's birthday. They were shipped to Canada as a special request. They are absolutely stunning. I can't thank the designers enough for their craftsmanship and service.